Ward Stars is an exciting validation and professional development scheme for Healthcare Assistants (HCAs) from Star Wards. Ward Stars helps make explicit those aspects of HCAs’ work particularly valued by mental health inpatients. For example: the nurturing of relationships, exercising empathic imagination, providing patients with opportunities for meaningful involvement and constructive activity. The process is structured around seven ‘Stars’ which are each focused on key themes of therapeutic inpatient care. Each Star has a simple sheet to fill in with the relevant evidence of achievement. The completed evidence sheets gradually build up a portfolio. These can be downloaded via the downloads page. 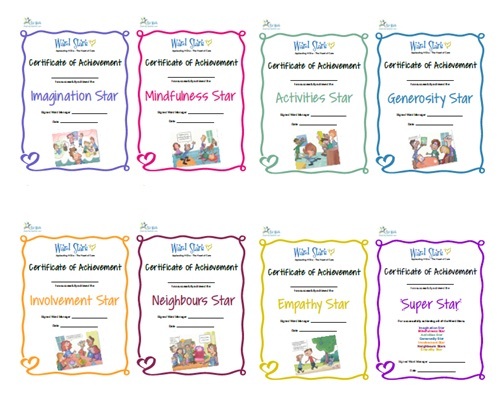 To accompany these there are seven Star certificates which ward managers can present to the HCA upon successfully completing each evidence sheet. There’s a final ‘Super Star’ certificate for those staff who, magnificently, manage to complete all seven stars. These can also be downloaded via the downloads page.